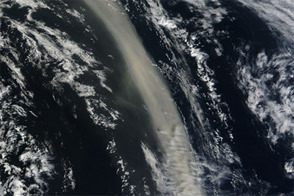 In early March 2012, Saharan dust blowing off the west coast of Africa concentrated into a thick, narrow plume that traveled northward over the Atlantic Ocean. The Moderate Resolution Imaging Spectroradiometer (MODIS) on NASA’s Terra satellite captured this natural-color image on March 11. 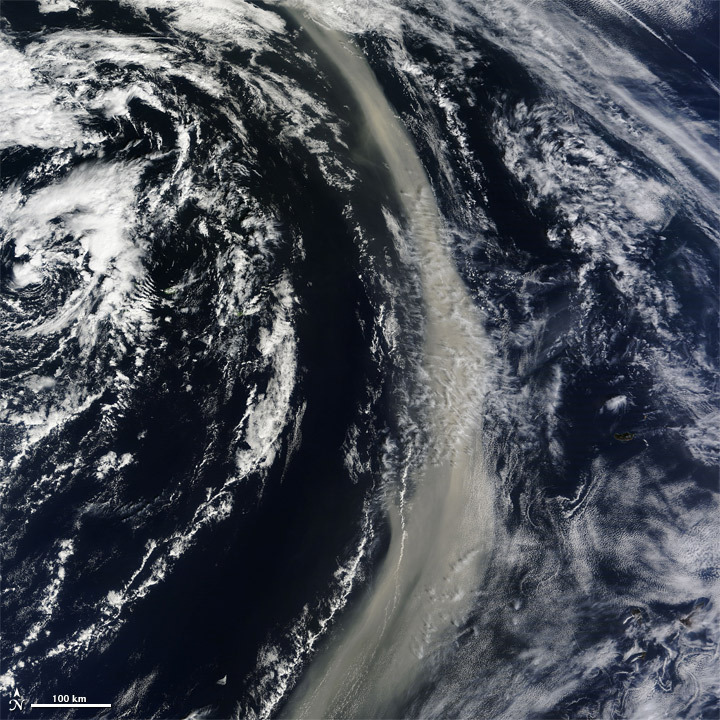 The river of dust blowing northward over the Atlantic was at the same latitude as the Iberian Peninsula, just hundreds of kilometers to the west. Shifting winds west of Africa apparently channeled the dust northward, and concentrated it into a narrow plume. The high-resolution version of this image has a resolution of 500 meters. 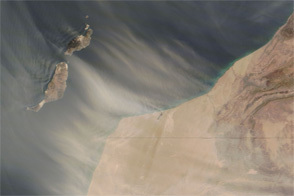 Acquired March 11, 2012, this natural-color image shows a concentrated plume of Saharan dust west of Europe.